Chicago shot from Solidarity Drive overlooking the skyline. 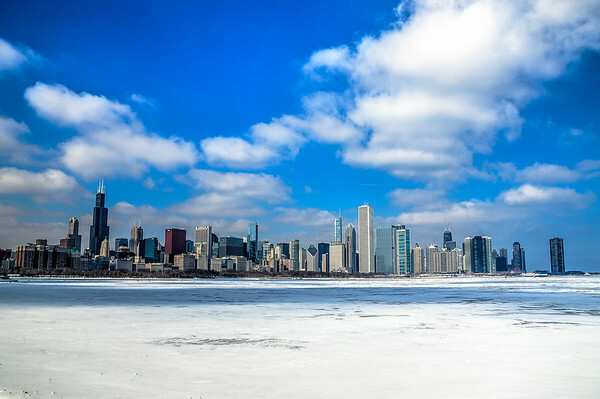 The cityscape of Chicago is magnificent but the white deck of frozen ice over Lake Michigan really makes this shot stand out. Thanks Mr. Bennett, for sharing your beautiful work!